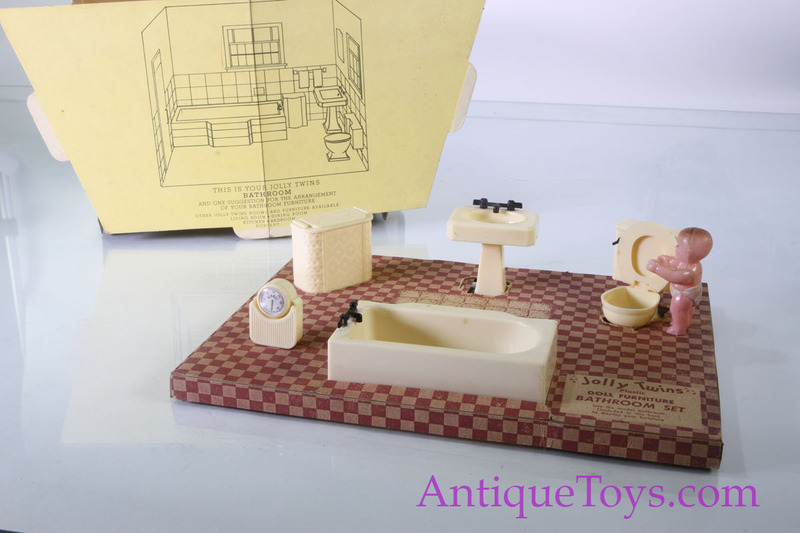 Bathroom fixtures with interior walls and floor. 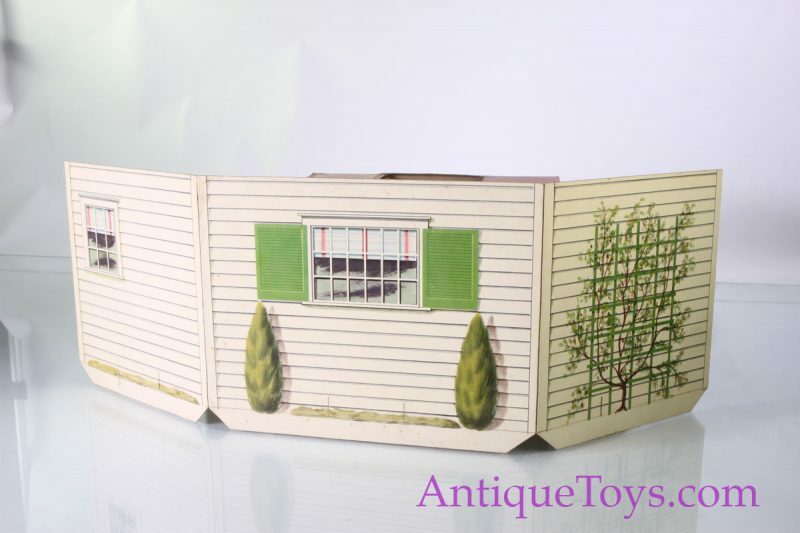 Our set has the difficult to find box as well as the cardboard set-up for a home. 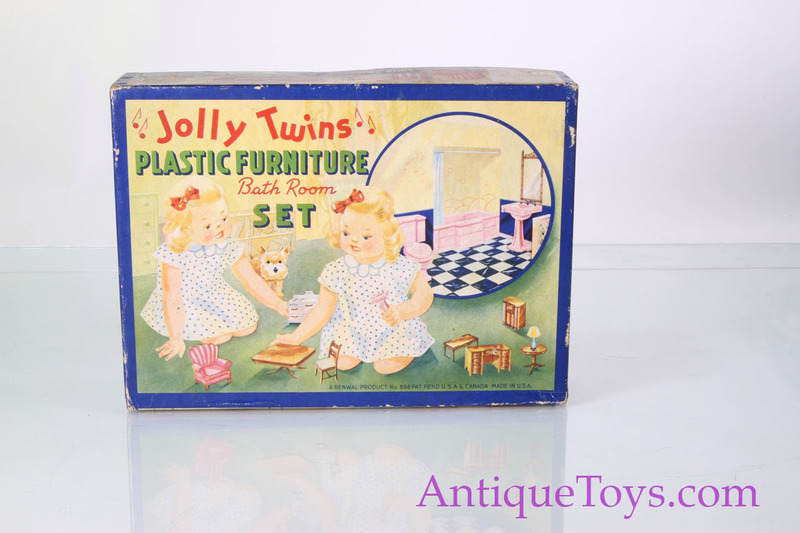 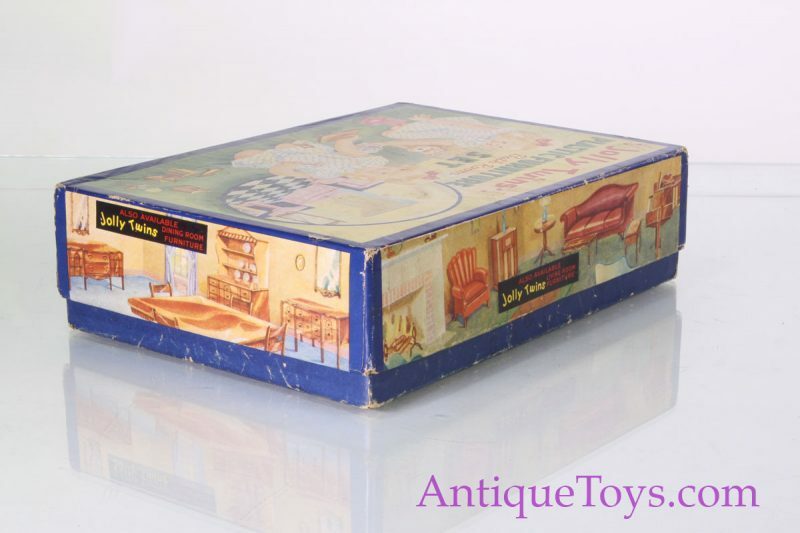 Creepy at times, yet realistic, this set captures some in-vogue 1950’s tiles and home decor along with a cute baby toy.